Cooking together plays an important role at our House. Participants gather together to prepare food as a group, learn and share knowledge about nutrition and cooking, meet new people and build community. 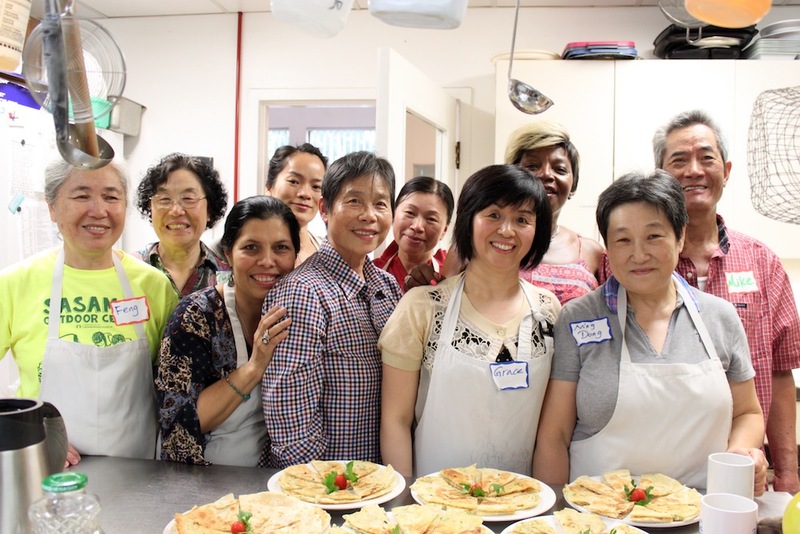 Community kitchens and workshops provide space for participants with common interests, ethno-cultural backgrounds, or health needs to come together in a welcoming and inclusive space. This project focuses on developing a community process for promoting understanding between cultural value systems, and to build capacity for Indigenous people to preserve culture, explore knowledge and integrate actionable steps that can make social ecosystems and infrastructure work for the urban Indigenous families and community members. With guidance from elders and cultural teachers, facilitators will have opportunities to take what they learn into the community. We launched the Mount Pleasant Food Network (MPFN) in the spring of 2014 as part of the Greenest City Action Plan. 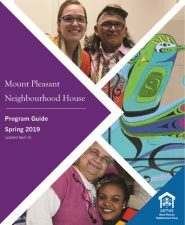 Learn more about the community development role we play in food security at our House, and in the Mount Pleasant Neighbourhood. Like many new immigrants, Aya* found the process of adjusting to her new life in Vancouver difficult and lonely. That is, until she found her way to the Cooking Club program at Mount Pleasant Neighbourhood House (MPNH). Through participation in these peer-run cooking workshops, Aya found a new way to engage with her community, make new friends, and lift herself out of her isolation. Aya is not the only person in Vancouver who has struggled with loneliness. According to the Vancouver Foundation, one third of people in our city find it difficult to make friends. Of people living in our country for 5 years or less, 42% count 3 people or fewer in their network of close friends. According to MPNH’s survey and report It’s Not Just About the Food: Exploring the Impact of Cooking Programs, social and mental health support is a common benefit shared by many participants in food programs.